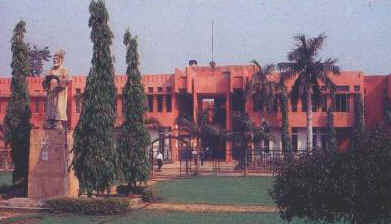 The Faculty of Social Sciences is one of the largest faculties of Jamia in terms of number of departments and number of students. The Faculty of Social Sciences was established in the year 1976 with three departments namely; Social Work, Political Science and Economics. Later on four more departments have been included in this Faculty. Besides courses offered by different departments, the faculty also manages Bachelor Programme and a course in Library and Information Science (B.Lib & Info Sc). The departments of the faculty are: Economics, Political Science, Psychology, Sociology, Social Work, Commerce & Business Studies and Adult and Continuing Education and Extension. The programme of these Departments include Ph.D., Post-graduate, Under-graduate, and Post-graduate Diploma Courses. The Departments of Studies of this Faculty organize Workshops, Seminars and Conferences in their respective priority areas. The Faculty members are also involved in different research projects offered by different funding agencies both national and International.